18” x 24” and 18” x 12” LDP 520 Drum Separators. The Dry Drum Magnetic Separator is designed for recovering highly magnetic material from a – 1/8’ particle size feed of free flowing material. Maximum particle size of feed is 1 inch. 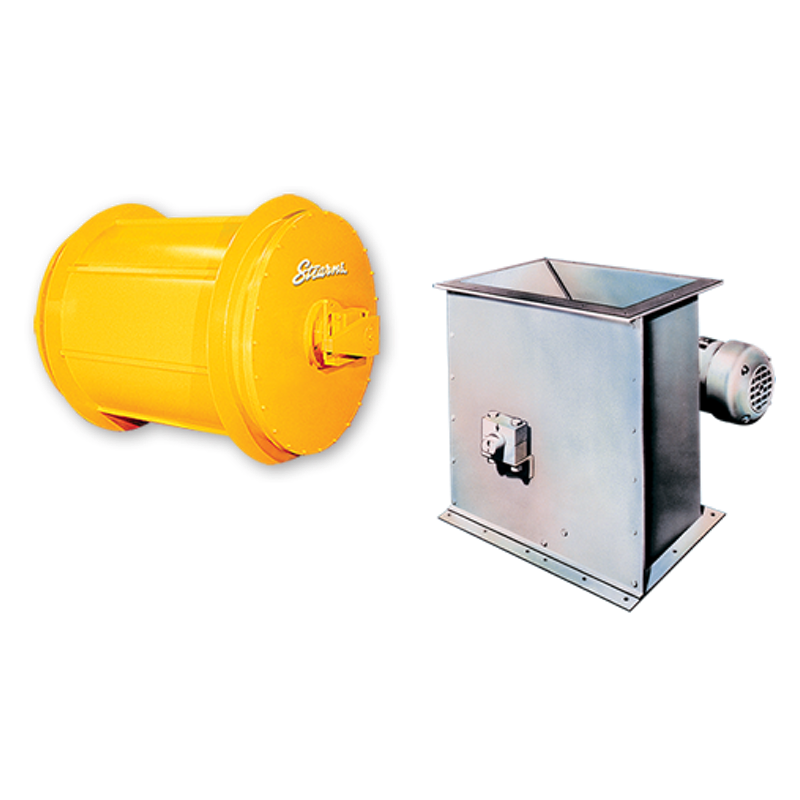 Feed material enters the feed hopper, the magnet assembly attracts the magnetic particles to the drum surface. The drum rotates about the permanent Ceramic 8 magnets, with non magnetic material falling from the drum into the non magnetic discharge chute, and the magnetic material staying on the drum until it reached the magnetic discharge chute (120 degrees from the beginning of the magnets). There are two splits made, magnetic and non magnetic. 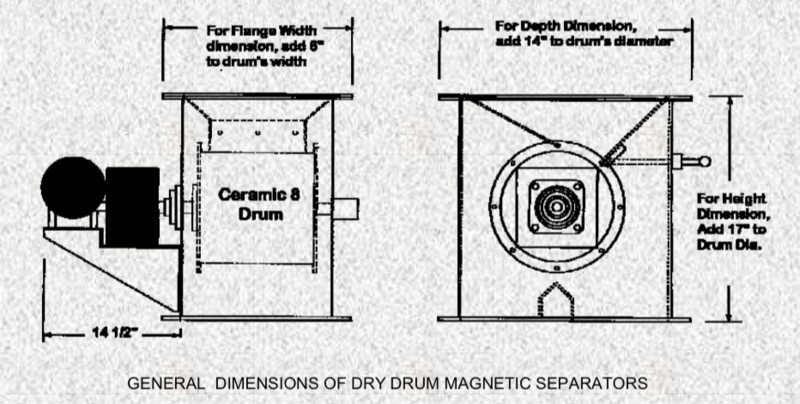 The Ceramic 8 magnets produce a magnetic field of about 1,000 gauss at the drum surface, making it a low intensity magnetic separator. This is enough to attract the highly magnetic material, without attracting the weakly or para-magnetic material. More powerful rare earth magnets can be used in this separator to achieve 7,000 gauss or more, to remove para-magnetic materials. The rare earth separators are considered to be high intensity magnetic separators. The Dry Drum Magnetic Separators are designed for continuous use, and are manufactured from stainless steel, including the housing. Magnetic separator capacity can range from 1 ton per foot of magnet width up to +5 tons per foot of magnet width, depending upon feed characteristics and particle size. Generally the larger the particles (up to 1”), the higher the capacity, the weaker the magnetic response of the material, the lower the capacity for recovery. Typically, a dry drum will have about 1/2 the capacity of a similar sized wet drum separator for material in the –10 mesh particle size range. This is due to the fluid properties of water in dispersing the particles, making them available for separation. Reliable holding power at the drum surface assures positive attraction. Equipment totally enclosed with dust protective housing. Flanged housing mounts easily to any spouting system. Rare earth magnetic field products available. It should be noted that maximum possible capacities shown below are under ideal conditions, and are influenced exponentially by the particle size being processed. The finer the particle, the lower the throughput.